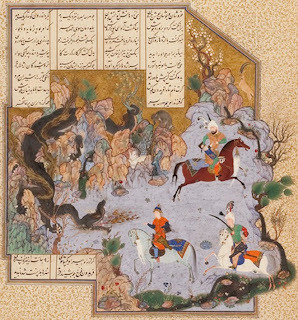 I apologize for missing a couple of comments on earlier Shahnameh posts. The comments alerted me to breaking news and an additional facsimile edition that merits attention. The Economist recently reported on the results of the Stuart Carey Welch Auction of Islamic Art at Sotheby's. Welch, who died 2008, was a famed collector of Indian and Islamic Art, a Professor at Harvard and a co-editor of the Houghton Shahanameh (see my post here). 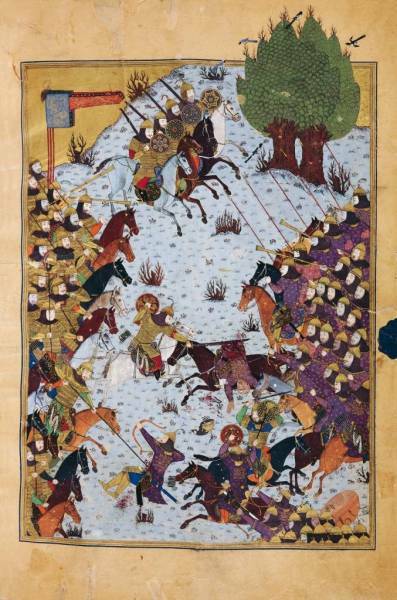 The highlight of the auction was the sale of this page from The Shahnameh of Shah Tahmasp for $34 MILLION! 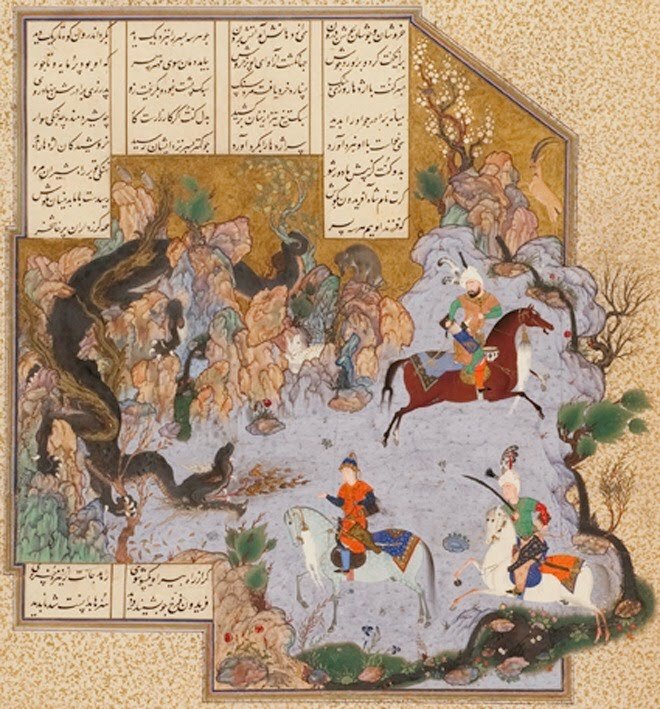 Another comment alerted me to a publication I am simply not familiar with, a facsimile of The Shâhnâmeh (Book of Kings), the Bayasanghori Shâhnâmeh made in 1430 for Prince Bayasanghor (1399-1433), the grandson of the legendary Central Asian leader Timur (1336-1405) published to coincide with the 2500th Anniversary of the founding of Persepolis, held in 1971. There are a few copies of this facsimile for sale. It was up for auction on February 10, 2011 at Bloomsbury as part of the Bibliophile Sale and had an estimated price of $250-$300 but was unsold. Two other copies are available for $300 and $549 if anyone is interested!